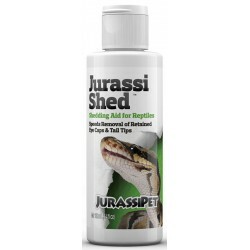 JurassiShed is a specially formulated cosmetic shedding aid for snakes and lizards. 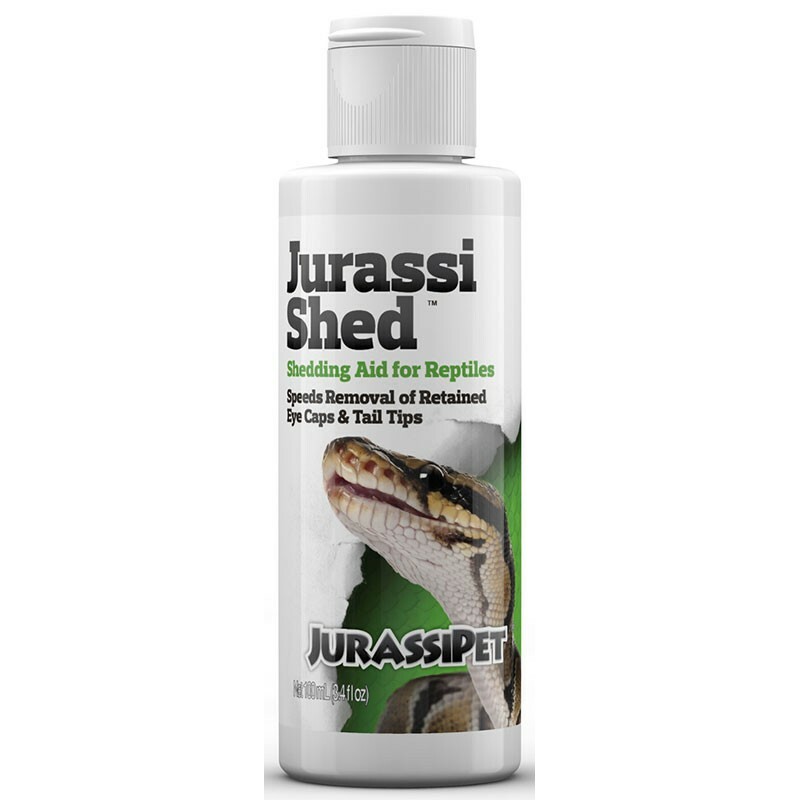 It naturally supports dry shedding skin with hydration which can reduce the severity of “problem sheds” and makes normal shedding faster and easier. JurassiShed also speeds removal of retained eye caps and tail tips.